By pressing "Control" and "R" the rotation in all four directions is followed by saving data statements in BASIC listed format with filename ROTATE.LST on D1: as default device. Space bar Draw the player continously without the need of pressing trigger every time. Pressing Space bar again invokes normal operation, drawing with pressing trigger again. Control - R Rotate player in all four directions and save the data in BASIC listed format with filename ROTATE.LST on default D: drive. Most commands are activated by pressing highlighted key indicated. To exit the option, press"Esc" key or joystick trigger in some cases. You can load your own player by pressing Control - L key combination. You can omit disk drive identification, because Drive 1 is default drive automatically searched by the program. Saving procedure is similar, pressing Control-S combination. 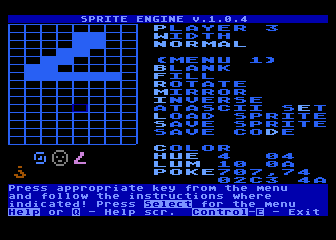 If you load or save player image with "L" / "S" keys, filenames accordingly to the selected player (SPRITE0.PMG, SPRITE1.PMG, SPRITE2.PMG, SPRITE3.PMG) are used. 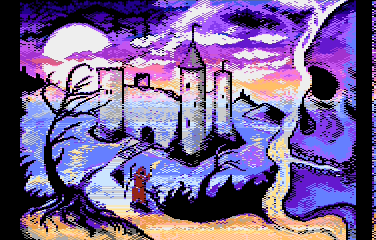 Player image data file format consist of color, luminance and actual data in byte-s.
Data statements source code generation improved thanks to Philsan from Atari Age, who suggested me some improvements. This option has its own dedicated text screen for selecting various programming languages to select from. With Select you go through the list and by pressing Space bar you select the language. Pressing Start invokes procedure of generating data statements. If BASIC is chosen, first starting line has to be entered. Next, you can choose device number and filename by which data will be saved to disk. You don't have to enter suffix, because it is added automatically. If no device number and filename is entered, default PMGDAT name is used, with D1: as device number. Image data for all four players is grouped together in one file for selected language. 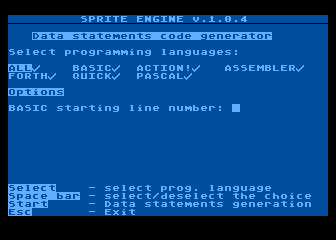 By pressing"D" key, you can save selected player image data to source code output for several programming languages, such as Atari BASIC / Turbo BASIC XL, Action!, Pascal, Assembler and C (similar syntax for several variations, plus CC65), ValForth (and similar), volksForth and Quick. By pressing "R" you are able to rotate current player in all four directions. The only restriction is you have to locate your player starting at top in the player drawing grid, so that matrix 8x8 in x and y directions is accomodated. By pressing "Control" and "R" together rotation in all four directions is followed by saving data statements in BASIC listed format with filename ROTATE.LST on D1: as default disk drive. You can make one multicolor player by putting together all four players to the same location. To reposition players to their original positions you should press Control and U at the same time. Some future release will hopefully enable you to mix also missiles and making multicolor players by using display list interrupts. Possible but currently not planned is making special kernel engines with different uses of players and missiles. By selecting this option you are able to set one of Atari characters as player image which you can then edit even further. By moving joystick left or right you scan through Atari character set by one at a time for the character of your choice. Similar operation is possible by moving joystick up or down, but in step by 10. By selecting this option you are able to move selected player around the screen. 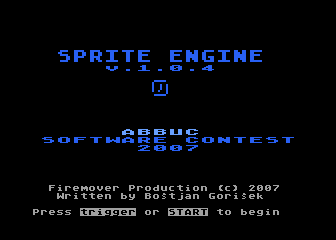 Text below indicates the original coordinates of the player. To see new coordinates, press quot;Esc". When new screen appears, press "Esc" again to exit this operation.